Fall salmon finale for me today! Our last salmon of the year and it put up a great fight for this happy client! I fished Phil and his two sons today on the Sacramento River below Anderson. 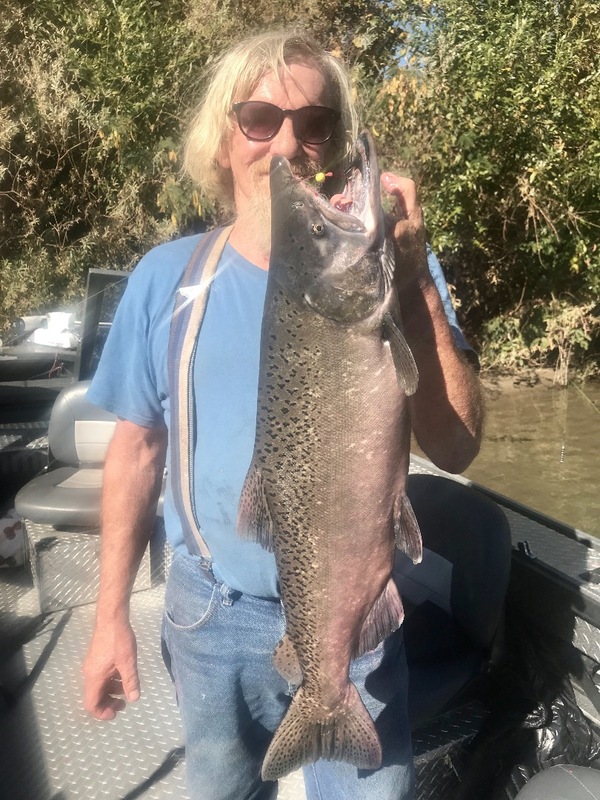 The salmon fishing was slow but we managed to stir up a 12 lb. buck by mid day. 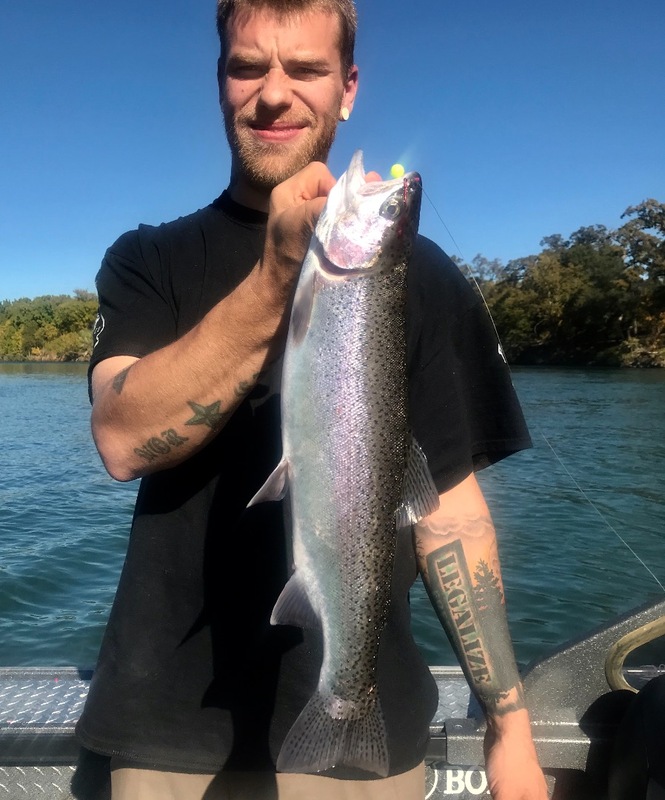 We got into a short steelhead bite and put two nice hatchery hens in the box before calling it a day. We fished bait all day today and we ended up catching all of our fish while drifting Pautzke Fire Cure eggs. I will continue to chase steelhead all winter but today was likely my last fall salmon trip of the season. Stay tuned for more steelhead fishing reports, its going to be another great season! 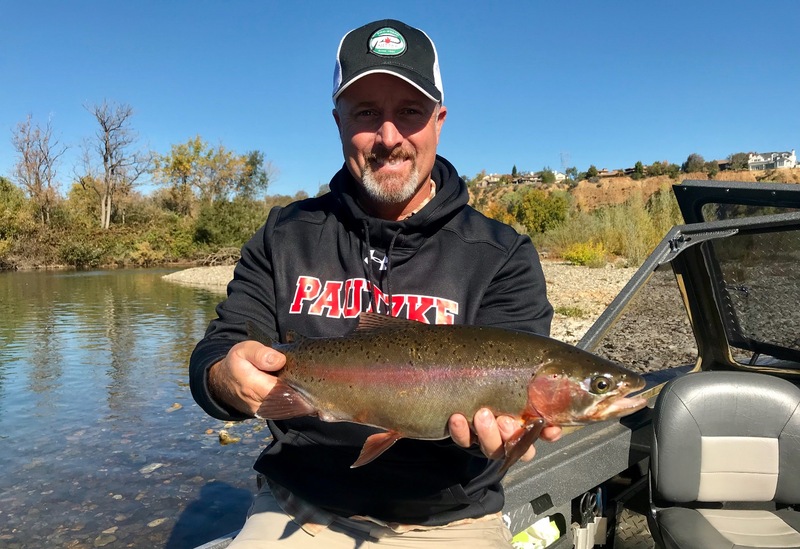 Wild rainbows and steelhead in downtown Redding! 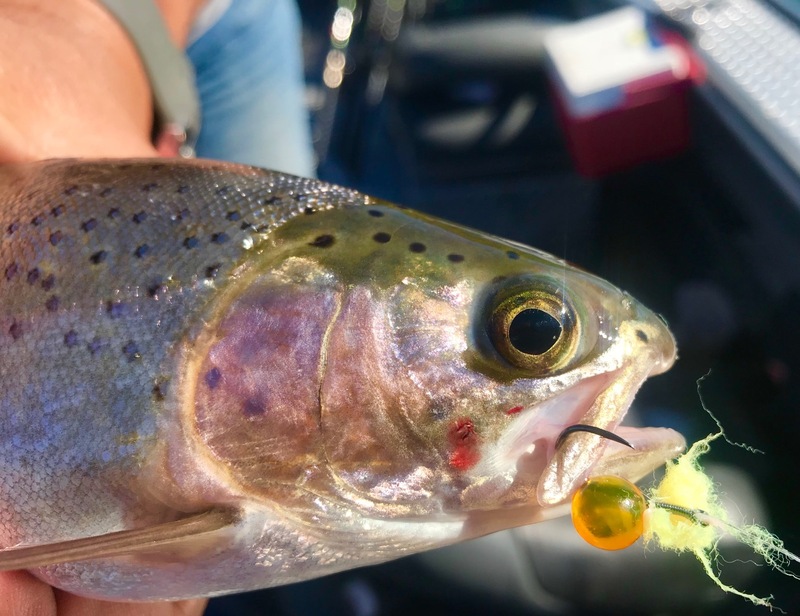 Now targeting Sac River steelhead trout!